gennie is using Smore newsletters to spread the word online. Have You Witnessed Stereo Type? 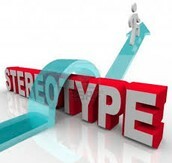 Stereo type is when some one is name calling you or treating you bad.stereo type is defined as an "oversimplified"usually pejorative, attitude people hold toward those outside one's own experience who are different. 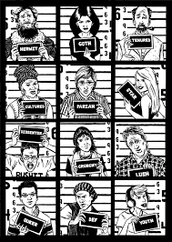 A stereotype is simply a widely held belief that an individual is a member of a certain group based on characteristics. Due to the process of over generalization within social perception, stereotyping leads to a great deal of inaccuracy in social perception.Stereotype is a thought that can be adopted about specific types of individuals or certain ways of doing things. These thoughts or beliefs may or may not accurately reflect reality. 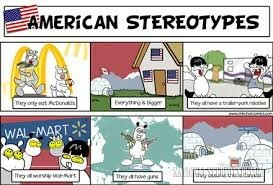 stereotype is based on a prior assumption.Both negative and positive stereotypes exist, but even the latter do harm. Why Should We Care about Stereotypes and Biases? The rest of us get unconscious points off for every one of those four criteria we don’t meet but just about everyone takes those points off, not just the tall, thin, white men already in power. Look at my implicit bias test I take those points off of myself. how can we stop stereotyping? The next time that you see someone and start thinking, “Oh, she/he is one of “those” spouses” STOP right there (You can do it!) and ask yourself, “Why did I just have that reaction? What is it that is truly bothering me about him/her?” Try to re frame what you’re thinking about them. When you see something in someone that causes you to make an automatic assumption about them, take a moment, catch yourself, and think POSITIVE. Find something about him or her that is wonderful! PUT YOURSELF IN THEIR SHOES!!!!! Remember, we are all walking this life in our own way. We all have problems, concerns, difficulties, tragedies and triumphs. 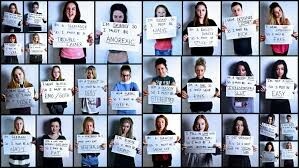 Before you judge, try to imagine what it’s like to be them. We’ve all been there. We are with a group of friends and someone starts criticizing someone they see. Stand up and call out the behavior. Voice your dissent. 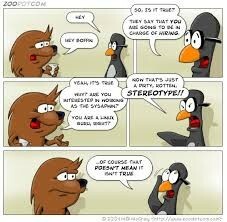 Stop stereotyping in its tracks. Bring awareness to the issue, and it could go a long way towards not only it being less likely that you use stereotypes, but it could have that effect on others too! !